Firstly welcome to my first of many health & fitness posts! If anyone follows me on instagram, they'll know I do love my fitness, it really motivates me & makes me feel great. So I have decided to share this love with you on my blog! So I know I am a little late to the tea party here (lol), but I have just this week discovered the wonder that is green tea. Up until now, it was just another one of those funky tasting teabags, but it turns out that they're much much more. 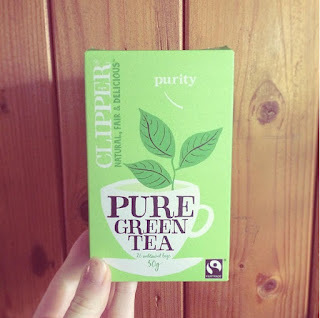 The health benefits definitely out way the taste, especially if you check the labels & make sure you're buying quality tea (price doesn't necessarily play a factor, just check the labels & navigate past all the fancy branding) - as they'll be packed full of antioxidants & as a result, health benefits too! However, as it turns out, they actually taste quite pleasant, considering I dislike flavoured/milkless tea! So here are the top 8 health benefits of drinking Green Tea at least twice a day! 1. Weight Loss - Perhaps it's most famous benefit. Green tea can be a great aid to weight loss, due to it's thermo-genic properties, which causes your metabolism to heat up & consume food at a faster rate. It also creates the feeling of fullness, which suppresses the appetite. Find out how best to use green tea for weight loss in Part Two of my green tea benefits... Coming soon! 2. Rich in Antioxidants - Ten times the amount found in fruit & veg in fact! But why are they so good for us? Antioxidants help keep our cells protected from modules known as free radicals (a byproduct of normal metabolism, but can be increased by smoking, drinking & certain cemicals we digest). Eating foods rich in antioxidants can in turn keep the heart healthy, lower the risk of infections & also some cancers. It also has an anti-ageing effect on the skin! 3. 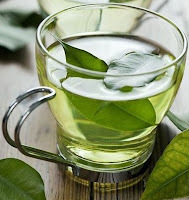 Reduces Cholesterol - Green tea contains tannins, that naturally lower the cholesterol by reducing the low-density-lipoproteins (bad cholesterol) in the body - which can lead to a build up of plaque in the arteries, causing blockages. Green tea helps prevent this! 4. Healthy Skin & Shiny Hair - Antioxidants are also beneficial for healthy looking skin, hence why green tea can now be found in some skin care & suncreams. It can help reduce spots & slows down premature ageing. Meanwhile it also stimulates hair growth by balancing testosterone levels in the blood & the vitamin C & E within helps make hair shiny & soft. 5. Manages Blood Pressure for a Healthy Heart - For one it is lower in caffeine than coffee & regular tea, preventing high blood pressure. 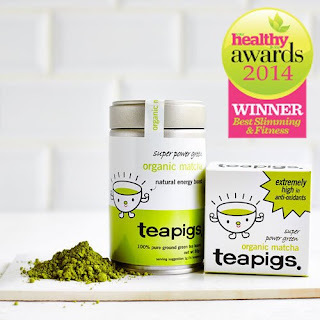 Also if you drink green tea for an extended period of time, the antioxidant flavonoid naturally helps to manage blood pressure, as well as helping to relax blood vessels & prevent blood clots. However, if you are already taking medicine for high blood pressure, green tea can prevent the pills from working properly - so check with a doctor if applicable. 6. Reduces Stress & Depression - The polyphenols in green tea help maintain a steady supply of glucose, which is great to stimulate the brain. Meanwhile the antioxidant theanine helps to lower stress & anxiety levels, as well as acting as a natural anti-depressant. 7. A Natural Detox - As well as digesting food faster & more efficiently, green tea can help cleanse the body of toxins, breaks up fat stores in the body (which are built up from unhealthy fats, of which the body has a hard time digesting) & can flush out unwanted water weight. It also helps maintain a healthy liver, by flushing out harmful free radicals & helping break down fat cells, to create less pressure on the liver. 8. A Natural Energizer - With lower amounts of caffeine than coffee, it helps to boost energy in a much healthier way, that allows the body to have more focus & prevents the crash you sometimes get after high amounts of caffeine. It also contains amino acid L-theanine, which increases brain function & the ability to focus. 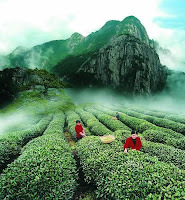 But remember, to reap the rewards, you have to give it time & make green tea a ritual rather than a flying fancy!! !